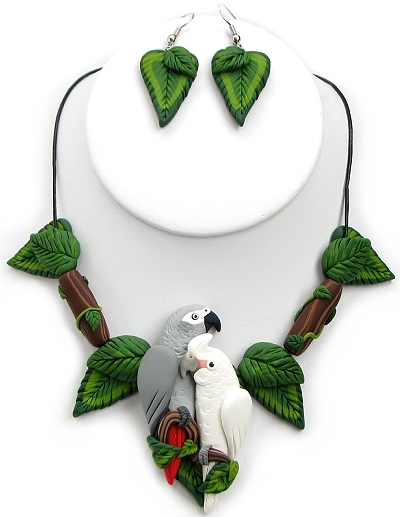 Each necklace will be custom made with your choice of bird, in a SINGLE or DOUBLE bird design. 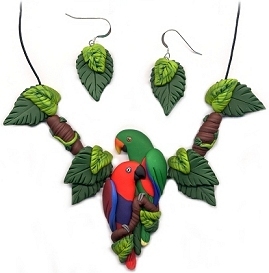 The birds and leaves are sculpted from polymer clay, and no molds or paints are used. 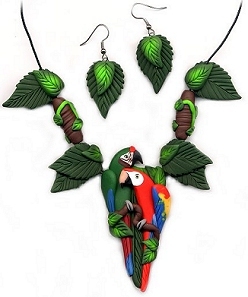 Because of this, exact leaf shape and colors will vary, each set is unique. 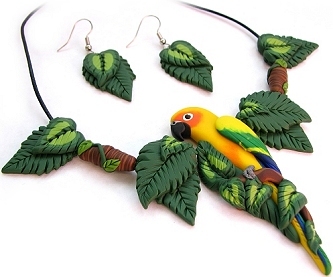 The necklace is strung on black leather cord (or imitation leather if requested), and finished with a lobster clasp and chain extender to your choice of length. 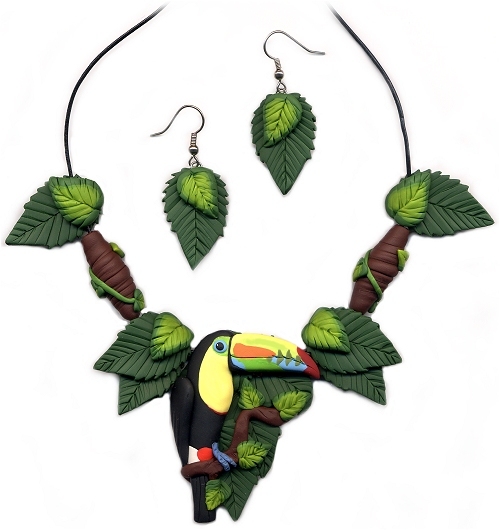 Leaf earrings in dangle, post or clip on are included. Glossy finish is available for $10 extra. 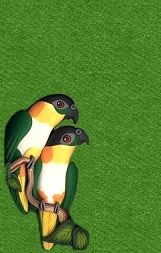 Optional glossy finish available for $10.00 for the set.